Lynda is a Hatha Yoga, Yin Yoga, and Yoga Nidra teacher, registered with the Independent Yoga Network. 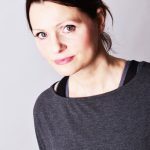 She has a background of teaching Psychology and SEN in schools andnow teaches yoga in colleges and schools, as well as various adult classes and workshops in Nottingham and Derbyshire. After undergoing breast cancer treatment and living with some physical limitation as a result, Lynda has developed a mindful approach to yoga that offers gentle classes to stretch and relax the body and calm the mind. She incorporates mindfulness into her practise and provides very calming, peaceful classes. She runs , deeply relaxing Yoga Nidra sessions with essential oils on Friday evenings bi monthly, and Yin Yoga workshops at Tranquility on Saturday Mornings bi monthly.